telecoms Archives - Africa M.E. 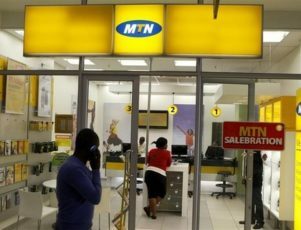 JOHANNESBURG (Reuters) – Africa’s biggest mobile phone operator MTN Group said on Thursday its Nigeria unit is on track to list on the Nigerian Stock Exchange (NSE) in 2017 as part of an agreement with the Federal Government. MTN had said in June its local unit would list on the NSE after agreeing to pay a reduced fine of $1.7 billion in a settlement with the Nigerian government of a long-running dispute over unregistered SIM cards. MTN Nigeria aims for the listing to take place during 2017, subject to market conditions. MTN Nigeria appointed Stanbic IBTC Capital, Standard Bank of South Africa and Standard Advisory London, and Citigroup Global Markets, as joint transaction advisors and global coordinators, with Stanbic acting as lead issuer. 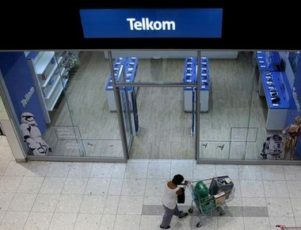 JOHANNESBURG (Reuters) – South African fixed line telecoms network operator Telkom has reached a performance-based pay deal with two of it three largest labour unions while agreeing not to cut jobs for two years, the company said on Tuesday. Telkom, reported a 15 percent rise in full-year profits on Monday after completing a three-year restructuring as it adapts the business to slowing revenue from fixed-line telephony and a sharp increase in data traffic. The firm said on Tuesday it had signed a deal with Solidarity and the South African Communications Union to implement a performance-based remuneration scheme for both individual employees and teams. A third union, the Communications Workers Union, has agreed in principle, Telkom said. “The agreement covers Telkom’s 11,000 unionised employees, out of a total headcount of just over 13,500 at the end of March 2016,” Telkom said in a statement. As part of the deal, Telkom committed to no compulsory job cuts for the next two years and limiting outsourcing moves to less than 1,000 employees over the same period. Telkom, in which the government owns a stake of about 40 percent, said it would not be offering any employee an annual increase in pay this year but was willing to pay workers more if they reached certain targets. “The company is offering employees the opportunity to earn up to 12 percent more each month should they meet and exceed sales and customer service targets,” Telkom said. JOHANNESBURG (Reuters) – MTN Group expects earnings to be under pressure for the rest of the year in its two main markets Nigeria and South African market, the company said on Wednesday, citing a weak exchange rate in Africa’s biggest economy. Africa’s biggest mobile network operator by subscribers said in statement that weak economic growth in its key markets and tough competition could also negatively impact performance. MTN said it was still negotiating a $3.9 billion fine by Nigerian authorities as the west African country. Nigeria is pushing telecoms firms to verify the identity of subscribers amid worries that unregistered SIM cards were being used for criminal activity in a country still battling with Islamic militant group Boko Haram. JOHANNESBURG (Reuters) – South Africa’s MTN paid its former chief executive officer Sifiso Dabengwa 23.7 million rand ($1.6 million) after he resigned over a record fine imposed on the company by Nigerian authorities. Dabengwa quit in November after Nigerian authorities imposed a $5.2 million fine on MTN’s Nigerian unit in October. He was awarded a total payout of 40.6 million rand, MTN said in its annual report on Monday. Non-executive chairman Phuthuma Nhleko was then named executive chairman of Africa’s biggest mobile phone group for a period of six months, to help resolve the fine. MTN has since managed to negotiate the penalty down to $3.9 billion but is still hoping to reduce it further. MTN’s share price has been down almost 20 percent since October when the fine was imposed. The stock had fallen 1.21 percent at 145.59 rand by 1407 GMT. 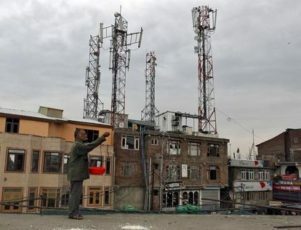 Last year, Nigeria imposed a deadline on mobile operators to cut off unregistered SIM cards, which MTN missed, amid fears the lines were being used by criminal gangs, including militant Islamist group Boko Haram. 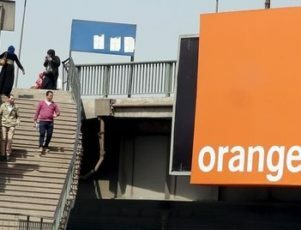 DAKAR (Reuters) – Orange has completed the $160 million acquisition of Democratic of Congo mobile operator subsidiary Tigo DRC from Millicom, the French company said on Thursday, one of four African purchases it has made this year. “With a population of more than 80 million people and a relatively low mobile penetration rate of 50 percent of the population, the country offers considerable growth potential,” Bruno Mettling, deputy chief executive officer of Orange, said in a statement. This month it completed the acquisition of Cellcom, Liberia’s leading mobile operator, and in January it announced a deal to buy Indian firm Airtel’s Burkina Faso and Sierra Leone subsidiaries. A tax dispute behind it, Djezzy receives approval to expand its 3G network in the fast-growing mobile market. Djezzy, a long-troubled Algerian telecom, says it is on a path to growth after receiving approval to upgrade its network to 3G nationwide. The upgrade could put Djezzy on a par with rival companies Mobilis, which offers 3G coverage in all 48 of Algeria’s provinces, and Ooredoo, which offers 3G in 36 provinces. Djezzy currently has more than 18 million subscribers, almost half the market, but it offers 3G coverage in only 30 provinces. The company, in which the Algerian government has a 51 percent stake, said it would extend service to the remaining provinces this year. Algeria’s mobile market is booming. However, Djezzy’s growth has been slowed by a lengthy dispute over back taxes that culminated in the Algerian government’s purchase of a majority share in the company in 2014. 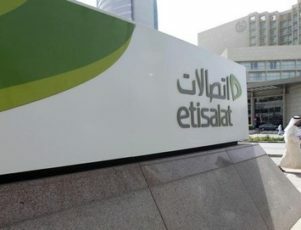 VimpelCom, owned by Telenor ASA of Norway and Russian billionaire Mikhail Fridman, retained the remaining 49 percent of the Djezzy, and continued to operate Djezzy through their Optimum Telecom Algeria. VimpelCom recently reaffirmed its commitment to the Algerian market. Vincenzo Nesci, executive chairman of Optimum Telecom Algeria, said in March that the company had received government authorization to deploy 3G services in all provinces of the country and would implement the expansion during the during the ‘first months’ of 2016. The expansion follows a long period of crisis for the company. The Algerian government barred Djezzy from importing SIM cards and other equipment starting in 2010 and the Algerian central bank blocked overseas transfers of funds – including paying dividends to the parent company – in a dispute over taxes Algeria said the company owed. The government said Djezzy, at the time the country’s largest operator with 14 million subscribers, owed $600 million in back taxes. Algerian regulatory hurdles also derailed a proposed sale of Djezzy to MTN, a telecom based in South Africa, for $7.8 billion. Instead, the Algerian government bought a majority stake in Djezzy in 2014, in a deal that provided the parent company with $4 billion in cash and dividends after paying a fine of $1.3 billion to settle the Algerian tax claims. 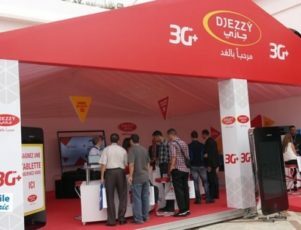 Djezzy faces competition from two other major mobile network operators, Mobilis and Ooredoo, seeking to serve Algeria, which has a population of about 40 million. According to an August 2015 report by Algeria’s Post and Telecommunications Authority, Djezzy leads in the total number of subscribers with 18.6 million, nearly half of the market. Mobilis has 13 million subscribers and Ooredoo has 11.7 million. However, Mobilis leads in 3G subscribers, with 3.8 million, followed by Ooredoo with 3.4 million. Djezzy brings up the rear in 3G with only 1.25 million subscribers. The regulatory agency said the market grew by 22.7 percent in 2014, compared to 2013. The total market generated revenues of about $3 billion in 2014, 8 percent higher than in 2013. One study found that Algeria was one of the fastest growing mobile markets in the region along with the United Arab Emirates and Saudi Arabia, while the market was stagnant in Egypt, Kuwait and Israel. Mobile revenue in the Middle East and North Africa was expected to grow from a total of $50.4 billion in 2013 to $59.1 billion in 2018. As more people consume information on their mobile devices, the study said primarily spending on handset data would drive growth. 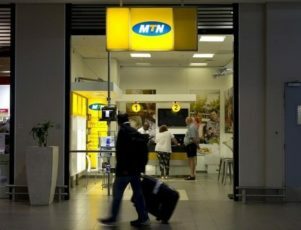 ABUJA (Reuters) – South African telecoms firm MTN Group has offered $1.5 billion to settle a much larger fine from Nigerian regulators for missing a deadline to disconnect unregistered SIM card users, a document seen by Reuters shows. Africa’s biggest mobile phone group has been in talks with Nigerian authorities to have the $3.9 billion penalty reduced and last month made a “good faith” payment of $250 million towards a settlement. In a letter to the Nigerian government from MTN’s lawyer, former U.S. Attorney General Eric Holder, the company proposed a 300 billion naira ($1.5 billion) settlement to be paid through a combination of government bond purchases, cash instalments and network access to the Nigerian government. 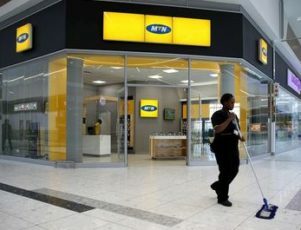 Johannesburg-based MTN said on Friday talks with the Nigerian government were ongoing. “MTN has previously advised shareholders not to make decisions based on press reports and MTN again urges its shareholders to refrain from doing so,” it said. Nigeria’s telecoms ministry had no immediate comment. In its annual results last week, MTN said it had put aside $600 million to cover a deal over the fine, which was originally set at $5.2 billion on the basis of charging $1,000 for every unregistered SIM card. Nigeria imposed a deadline on mobile operators to cut off unregistered SIM cards, which MTN missed, amid fears the lines were being used by criminal gangs, including militant Islamist group Boko Haram. The fine, equating to more than twice MTN’s annual average capital expenditure over the past five years, came months after Muhammadu Buhari was swept to power after an election campaign which pledged tougher regulation and a fight against corruption. Shares in MTN, which makes about 37 percent of its sales in Nigeria, were little changed at 147.53 rand at 0839 GMT, after rising more than 2 percent shortly after the market opened. LAGOS (Reuters) – Pan-African mobile telecoms infrastructure group IHS has agreed to buy Nigerian rival Helios Towers Nigeria (HTN) for an undisclosed sum, its chief executive said on Thursday. Issam Darwis, who founded IHS, said Africa’s largest tower company, which builds and leases mobile telecoms towers in five countries across the continent, will acquire 1,211 towers spread across 34 of Nigeria’s 36 states. “IHS will have full operational control of the underlying business and will market independent infrastructure sharing services to mobile network operators and internet service providers in Nigeria,” it said. IHS already has around 23,000 towers across Nigeria, Ivory Coast, Cameroon, Zambia and Rwanda. It has around 15,000 towers in Nigeria, its biggest market and Africa’s most populace nation. Africa’s biggest economy and top oil producer is flagging due to the fall in crude prices and restrictions imposed by the central bank to defend its currency. These costs have prompted many mobile operators to sell or lease towers to specialist companies such as IHS, which can reduce building and maintenance costs by hosting multiple tenants — mobile operators and internet providers — on the same towers. 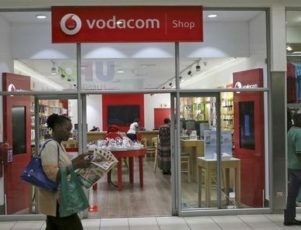 JOHANNESBURG (Reuters) – South Africa mobile operator Vodacom on Monday dropped a planned acquisition of local fixed line operator Neotel, citing regulatory complexities. “It is disappointing that we have reached this conclusion despite all our efforts to find a way to deal with the complexities of the restructured transaction,” said Vodacom Chief Executive Shameel Joosub. Vodacom, a unit of Britain’s Vodafone, had offered $500 million to Neotel owner, India’s Tata Communications, in 2014 but was forced to rework it after regulators raised anti-trust issues. 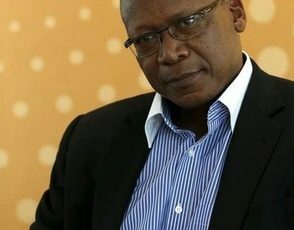 Under the modified deal, announced in December, Vodacom would have bought assets related to Neotel’s fixed-line business but not its frequency spectrum – which the Competition Commission’s said would have given Vodacom an unfair advantage in rolling out a high-speed 4G network. South Africa is in the midst of switching its television signal to digital from analogue, a move that would free up much-needed airwaves as consumers increasingly use smartphones to browse the internet and download applications.